We all know how important it is when it comes to availing life insurance, in fact the same importance needs to be given to your car as well. Although most of us are aware of the fact it is compulsory to avail car insurance, there still quite a significant number of people who are either ignorant or are in the dark about the importance of car insurance. There are a number of reasons why availing car insurance is important and understanding these reasons is imperative so that you can make the most out of your car insurance. This policy provides cover for the insured and their car, and also provides for third party injuries and damages to their car. This policy provides cover only for third party injuries and damages to their property. What type of cover should I go in for? The coverage for third party liability insurance is available up to a maximum of 750,000 INR. The cover for the insured depends on the Insured’s Declared Value (IDV) which depends on the market value of the car to be insured. These are the basis on which your premium is fixed; it is always advisable to do a bit of researching to get the best possible rate. Don’t fall for ads that mention they will give high coverage for a low premium value. These are most often false claims; make sure you know the authenticity of the offer. Also, there are different insurance companies that have varying methods of calculating your premium. At the time of applying for your car insurance, the required details to be submitted are: a photocopy of the RC book, tax details, and relevant details of driver such as fitness certificate, age, gender, license validity, and previous insurance history. 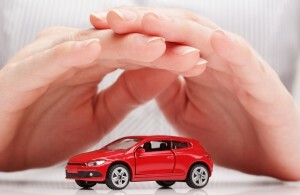 It is absolutely necessary to avail car insurance, not just for your own protection but for others around you as well. When you want to make a claim, and you are expecting the required coverage, then you have to make sure you pay the necessary premium regularly.